Rose belly bars, with a rose that is about 1.3 centimetres big this belly piercing shows a lot of depth. The leafs of this rose flower are placed over the six big crystals which create the glimmer of this piercing. These leafs run towards the centre where they end in a small clear crystal. The quality of this belly jewellery is amazing. It's available in multiple colours. The silver one is made of surgical steel. 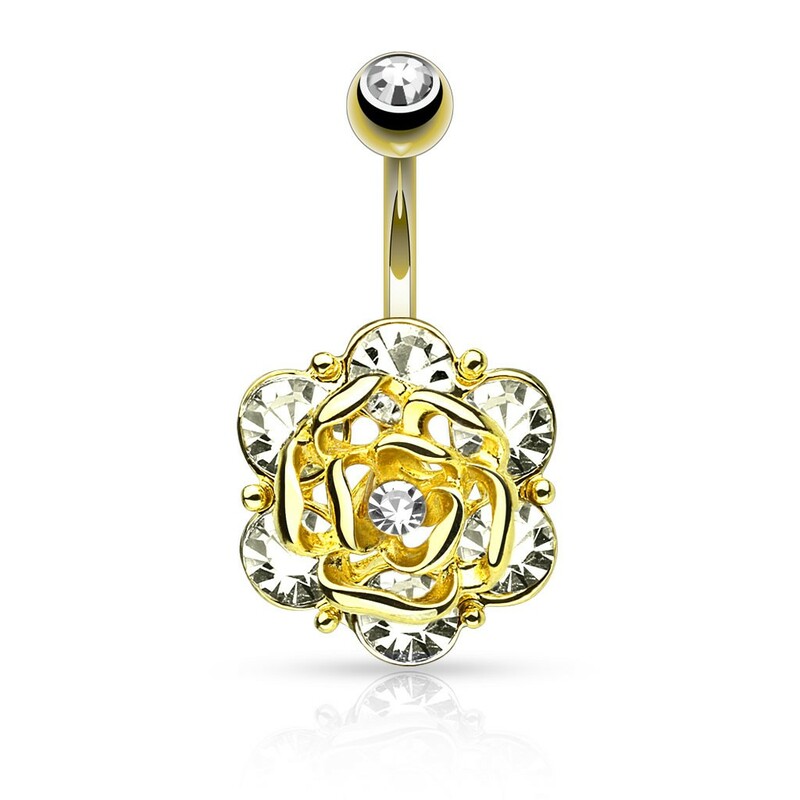 Next to this one, you can also go for the yellow gold belly button piercing or the warm toned rose gold belly piercing. We also selected a few more belly button piercing with flowery designs at the bottom of this page.